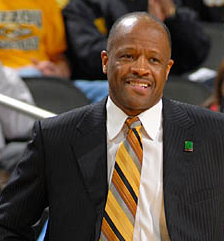 We have talked about Mike Anderson in the Missourinet newsroom and whether he should stay at Missouri. But we’re not all lathered up about it. If he goes, he goes. If he stays, he stays–but he needs to get somebody who can REBOUND!!! American airplanes, some from Missouri, are blowing up stuff in Libya. Missouri soldiers are in harm’s way in Iraq and in Afghanistan. The economy is still gasping. Politicians are demonizing each other (still). He has said he is staying at Missouri. He is either telling the truth or he’s lying. Mike Anderson is letting people who should be reporting spend much of their time speculating. He’s going. He’s staying. He’s negotiating. Arkansas has offered. Missouri will extend. Let’s report what happens, not what somebody who might or might not know somebody who knows somebody who might know something says. The poorest kind of reporting is reporting what other people are saying about what might or might not happen. Speculation is for reporters who just want to fill time, not dig up real news. He’s a basketball coach, for crying out loud. He’s not the president of the whole university, in charge of helping thousands of young men and women create their futures in the real world. Admittedly he is a very visible symbol of the university and he carries enormous weight on his shoulders because universities and their fans want to win. A lot. Everything. Does that mean he should be paid two million dollars a year to coach basketball? Why not? Railing against the injustices of a society that pays coaches two million dollars or athletes multiples of that while paying some school teachers $20,000 a year is a waste of time. If Mike Anderson decides his heart really is in Fayetteville, Arkansas, good for him. If he leaves, he leaves a program that will be enormously attractive to an incoming coach, and there would be some pretty darned good incoming coaches who would want to step into the vacancy he leaves. He has restored the Missouri program to respectability. A new coach coming in will inherit some really talented guys. And perhaps this is more than money. Perhaps it really is a matter of the heart. Perhaps it really is a matter of honor and of responsibility. If he stays, that’s okay. If he leaves, that’s okay. Take a deep breath, sports fans and sports writers and sports announcers. Find something useful to do with your time. We have.